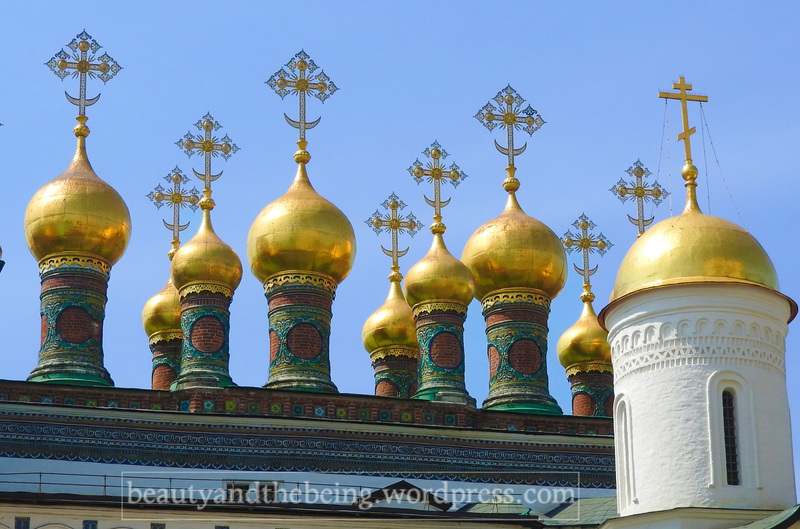 Visiting Russia (well Moscow in particular) has been in our bucket list for a very long time. Ever since I was a little kid I have been fascinated by the architecture of St. Basil’s Cathedral and needless to say it was a dream to visit it! This year as Ankita and I sat to plan our holiday, we both had Russia on our minds… her willingness to visit was on an all-time-high as her best friend from school hails from Moscow and they both had been wanting to meet each other for around 4 years now. So we finally decided for a good 2 week long holiday to Russia which included a 10 days stay in Moscow and 3 days in St. Petersburg. Here’s a sneak peek to our visit…hope you’ll see the beauty of these cities through our eyes! 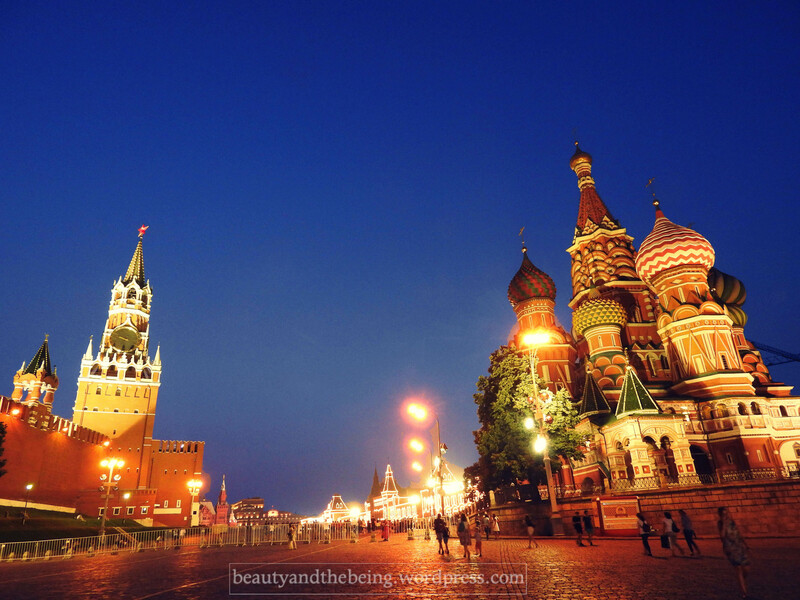 St. Basil’s cathedral and the Spasskaya Tower. 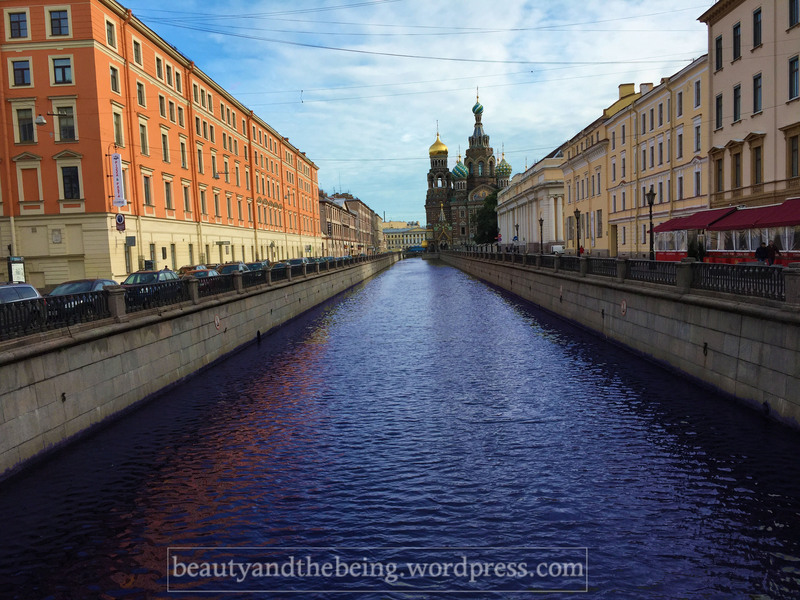 Visiting Russia for a holiday is still considered a bit offbeat and to be really truthful it is slightly tiresome for the usual tourists… reasons being that 1) it involves a tedious Visa procuring process and 2) the fact that language could be a big problem. In our opinion – yes, it can get challenging…BUT very much achievable and trust us – totally worth the effort! 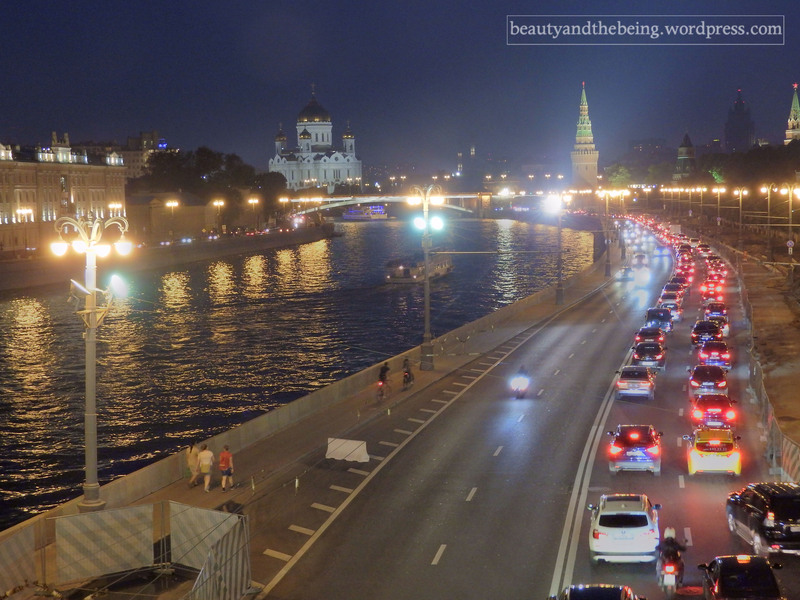 Through this post I’ll try to simplify the Visa procurement process, how you can get a hang of the Cyrillic alphabets, highlight the absolute must do’s in Moscow as well as St. Petersburg and last but not the least, share the beauty of these two wonderful cities through a series of photographs. Let’s get started then, shall we!? 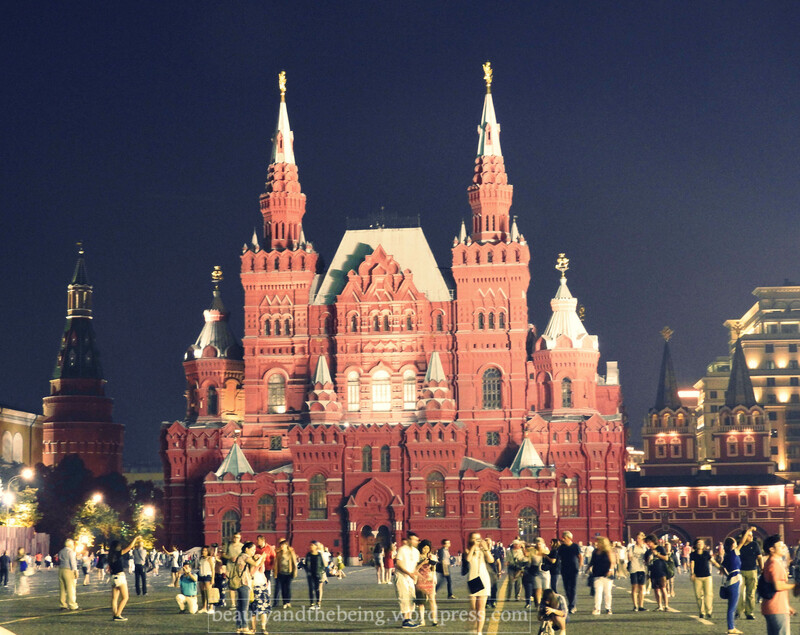 If you are travelling for leisure there are two options, one is the normal tourist visa and the other option is if you have a host there in Russia you would need to apply for a private visa. For any of these two visa you would need an invitation which would be provided to you either by your hotel or by your host and the same needs to be submitted for Visa procurement in original hard copy. Once you have this invitation the whole process flows really smoothly. There are a few agencies in India you can get in touch with for the visa process, such as Vamana (vamanaindia.com) and then there is Russian visa center – IFS (Indra Visa Fiduciary Services) (india-ifs.com), you can refer to their websites for further information on the documents requirement and the Visa fee. Learning Cyrillic Alphabets is a must. You would find very few sign boards in English in Saint Petersburg and even lesser in Moscow. So in order to understand and gauge routes, etc. through the metro map and decide route plans you must have a knowledge of Cyrillic alphabets (unless you are going with a private tour and have a guide with you all the time). Another alternate is to use Google translate’s new function which converts Russian (or for that matter any language) letters to English (or any other desired language). We used this app extensively and felt it was really cool and useful to read menus, however not very effective to read sign boards which are way above you eye level. There are several tutorials available on Youtube, the one in particular which I liked was rusianpod101.com, you can follow the link for it and can also buy/download a lot of lessons with a basic one month subscription at very nominal fee. If you would like to learn a bit more or if you have a knack for learning languages you can even go for their advanced courses. 5. 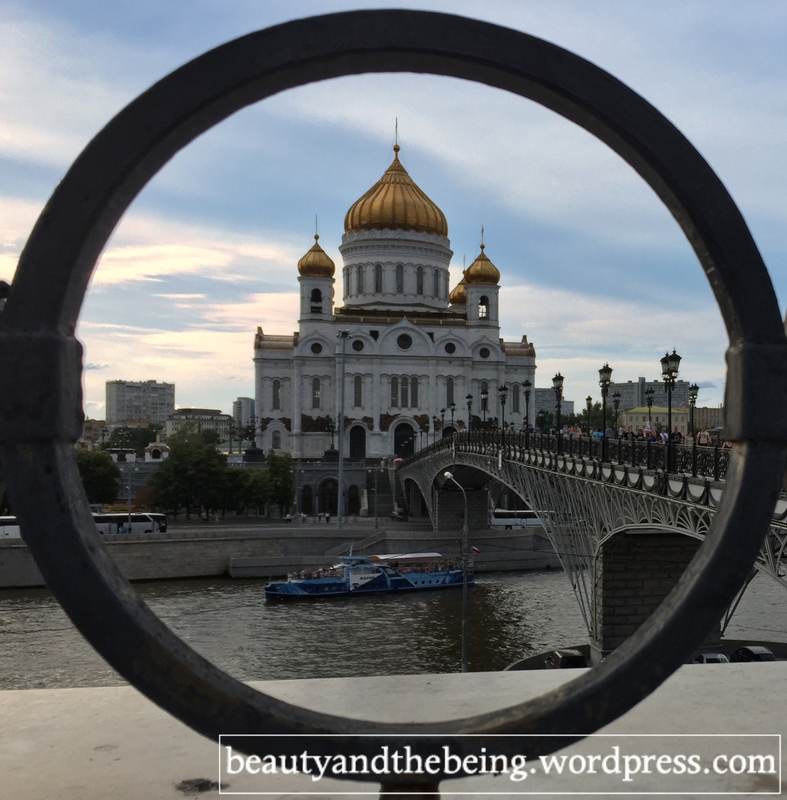 Gorky Park and the river cruise along the Moscow river. 2. Nevsiky Prospect & Church on the spilled blood. 6. Boat ride along the canals and the bridge opening at night. Well thats’s all for now, but we promise to be back soon with more info on how to plan your Russia holiday with details about the above mentioned attractions, where to eat and what to shop :). Yes there is a lot more to Russia than you’d have expected. thanks so much for your comments, glad you liked and found the post to be helpful. 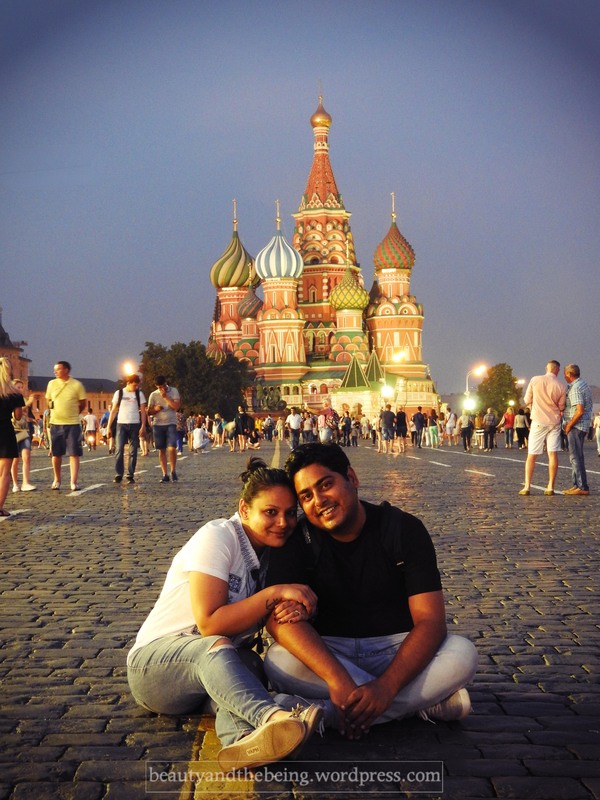 What a great shot of you two in front of the Saint Basil’s Cathedral!